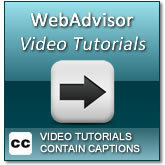 Are you New to WebAdvisor? Having Problems making a payment using Internet Explorer? Try Google Chrome or Mozilla Firefox web browsers instead. Refer to: Administrative Procedure 5030: Fees for the details of this policy. Based on the above policy, after you have registered for classes, you will be required to pay your fees within 10 business days of registration. If fees are not paid by the end of the tenth business day, you may be dropped from your classes. Need Financial Assistance to Pay For Your Classes? Students requiring financial assistance should apply for financial aid early! If you are a financial aid student or need financial assistance, please complete the FAFSA. Have Outstanding Fees and Cannot Register? Once you pay your fees, please allow one business day for your student hold to be removed. Monday - Thursday: 7:45 a.m. - 5:30 p.m.
Friday: 7:45a.m. - 3:30 p.m.
Monday - Thursday: 7:45 a.m. - 9:00 p.m.
Friday: 7:45 a.m. - 3:30 p.m. If you are still having problems, call the WebAdvisor Help Desk at (760) 245-4271, extension 2740. The WebAdvisor Help Desk phone line is available from 7:45am until 9:30pm, Monday through Friday, at (760) 245-4271, extension 2740. If you need to DROP A CLASS, you can do that using WebAdvisor once Priority Registration is over. If you don't know the dates for Priority Registration for the current term, click here to go to the Class Schedule website, then pick the term you want to view, and select the "Registration Dates" link on the left hand menu.